Since the Qing Dynasty, the Tianzhushan Area is the birthplace of Qianshan Tan Tune, maternal art for Peking Opera and Yue Xi Gao Tune, the hometown of many Anhui Class artists who have made outstanding contributions to the creation of the Opera (such as Anhui Class leader, Beijing Opera originator Cheng Changgeng), and one of the cradles for Huangmei Opera's birth, growth and prosperity. Qianshan Tan Tune is a kind of ancient and rare folk Opera, with the spreading history of 270 years in and near Qianshan County, Anhui Province, north of the Yangtze River. There is a saying known as "Qianshan Tan Tune began no later than the late Ming and early Qing periods". Besides, Yue Xi Gao Tune, a kind of Han Opera, is unique in Yue Xi County, Anhui Province. 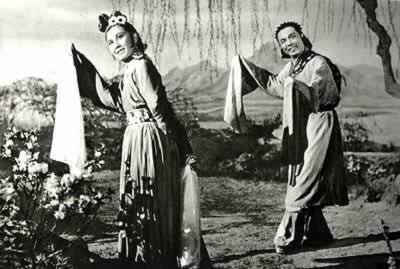 The State Council approved Huangmei Opera into the list of the first batch of National Intangible Cultural Heritage on May 20th, 2006.